NEW! Our Rustic "Weathered" Birdhouse looks like a real Antique! You build it from new materials and make it look old using the easy techniques included on our full-size pattern. 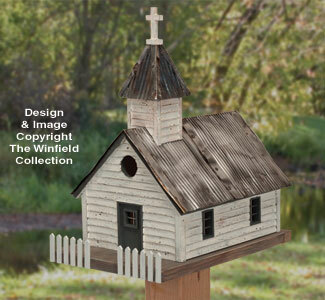 Everyone that sees this unique rustic birdhouse will want one--so be prepared to make a few extra!